Rematches are some of the most eagerly anticipated fights within the world of boxing. 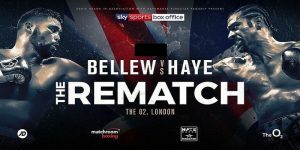 They bring two opponents back together with a chance to change the outcome, and with two big rematches on the horizon (Haye-Bellew and Golovkin-Alvarez), we thought it was time to take a closer look. We know they are popular, but why do they get so much attention? 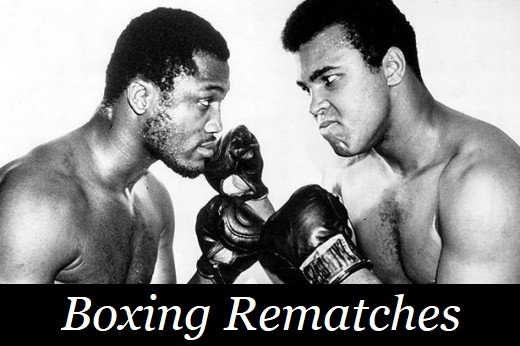 Over the years, there have been a lot of rematches that have created quite a stir. In fact, the Ring Magazine has named a rematch as it’s ‘Fight of the Year’ no less than 27 times! For those who are interested, the first one they selected was Jack Dempsey vs Gene Tunney (1927) – in infamous ‘Long Count’ fight where Tunney was on the canvas for fourteen seconds, but went on the win the bout. Don’t forget about Harry Wills, he had 21 rematches with Sam Langford! In case you are wondering, Wills won six, lost two, and had 14 No Decisions out of his total 22 bouts with Langford. In more recent history, Gatti and Ward have had some of the most popular rematches. They fought three times in the early 2000’s and although there were no world titles up for grabs, they fought with such ridiculous determination that their bouts are now legendary. So much so that Ring Magazine named their 2003 encounter (their third fight) as Fight of the year – worth noting is that their first fight was also a Fight of the Year! Over the course of their meetings, the public were following the story of these two fighters with massive interest. It wasn’t just their contrasting fighting styles, but also their differing personalities that enthralled audiences – and still do to this day! Part of what makes these fights so common is a rematch clause. They’re added into the contract for the initial fight and both fighters are bound to it, or they risk litigation and fees. The Klitschko brothers were well known for this – you wouldn’t get a title shot unless you agreed to face them again should they lose. David Haye often spoke about how his contract with Wladimir stated he had to face him again or brother Vitali if he have won the bout! To be fair to the Klitschkos, it isn’t uncommon for a champion to insist on a rematch clause. With something so valuable as a world title up for grabs, it is understandable for the champion to want to reclaim his belt. What’s more, the winning boxer may want to prove the first result wasn’t a fluke and they he deserved his win. This was the case with Steve Collins and his rematch with Chris Eubank. Collins won the first bout, but many pundits claimed that his pre-contest mind games had unsettled then champion Eubank. Collins was keen to prove he could beat Eubank fair and square – which he duly did in their second match-up by way of a Split Decision win. 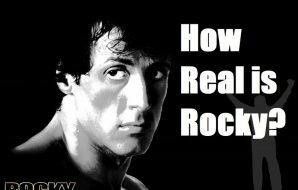 Conversely, a losing fighter can often have a string of excuses ready – real or otherwise – and another shot at an opponent offers him redemption. As for the promoters, they want to recapture the hype and interest generated from the first fight. A lot of the hard work has already been done at that stage – they have already publicised the rivalry, the public know the fighters – they may even have seen the first encounter, and they may want to see if the next fight can deliver the same drama as the first. It’s a bit like in Hollywood – people enjoy a movie, so they bring out a sequel. If something is a success, then give the fans more, and often the financial numbers can be very persuasive for all parties concerned. There are both pros and cons to betting on rematches, which you should take into account. A lot of bettors rely on previous performance to inform their betting decision, but fighters can vary greatly from fight to fight. Everything from further training to sheer grit and determination can influence the outcome of the fight. 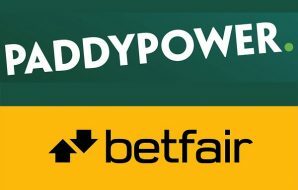 Betting on rematches can be seen as a sure thing but the fact of the matter is they can still be unpredictable. However, if you do want to do your research on how the fight will go, there’s more information available on how the fighters will come together. For example, you could look to see if the boxers have changed trainers; are they now competing in a different weight division; have they had some gruelling fights inbetween; were they injured during the first encounter etc. With boxing rematches, there’s a lot of opportunity to research your bet and influence your choices. 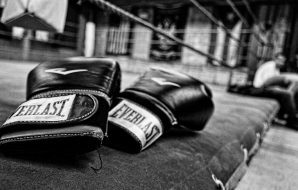 If you want to make sure you’re getting top boxing betting odds without all the legwork, then we have the inside scoop for you. Check out our boxing odds page to see all of the relevant odds in one place. 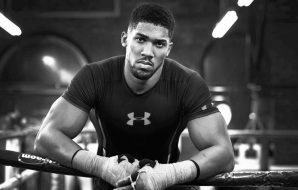 What’s more, we also have an exclusive guide to betting on boxing at the bottom of that page. Well worth a look!